In 2005, motor vehicle accidents injured over 1,800,000 people and claimed over 43,000 lives. Many people suffered or died from accidents that were not their fault – either other motorists were to blame or the vehicle itself was defective. Our practice has years of experience in prosecuting those who make our roads and highways unsafe. 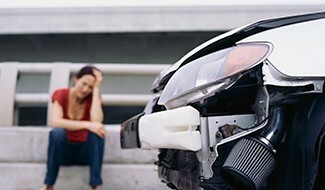 If you’ve been victimized in a motor vehicle accident, contact us today. We will fight to ensure that you are compensated to the fullest possible extent. Contact the Atlanta and Savannah Car Accident and Truck Accident Attorneys at Parsons & Associates, P.C. You can speak directly to Michael at 770-422-9000 OR 912-650-3993 for a free evaluation of your case. If you or a loved one has been seriously injured in a car accident, the emotional and physical hardships placed on you can seem unbearable. Our practice handles all of the details so that your thoughts and energies can be solely focused on recuperation. We preserve evidence from the accident and interview witnesses. We make sure documentation is filled out correctly. We deal with difficult and unsympathetic insurance adjusters so that you don’t have to. Our knowledge and experience are on your side. In an effort to put their accidents behind them, many victims accept the first amount that insurance companies offer to pay them. Sometimes this offer does not represent the maximum amount allowed under a given policy. Insurance companies have standards for dealing with victims who choose to forego legal representation; however, those procedures tend to change substantially when an attorney is attached to the case. By securing the services of one of our firm’s attorneys, you let insurance companies know that you are serious about pursuing the compensation you deserve. 442,000 large trucks were involved in accidents on American roads in 2005. In most cases, the passenger vehicles (and their occupants) sustain more damage than the truck. Trucks can weigh twenty to thirty times more than passenger cars, and they require 20 to 40 percent more breaking distance. In some cases, hazardous cargo may increase the risk of burns and other additional injuries. The attorneys at our practice are experts in bringing lawsuits against the many parties who may held liable, including drivers, trucking companies, employers, contractors, and insurance companies. We know the unique circumstances that can lead to truck accidents: driver fatigue, driver intoxication, defective equipment, and unsafe or improper towing. Truck accident cases are much more complicated and complex than automobile accident claims; we encourage all truck accident victims to obtain legal representation immediately. If you’ve been victimized in a motor vehicle accident, our lawyers can provide you with trustworthy counsel and skilled representation. We return calls within 24 hours from our offices in Atlanta and Savannah, and we’ll give you the personal service you expect.